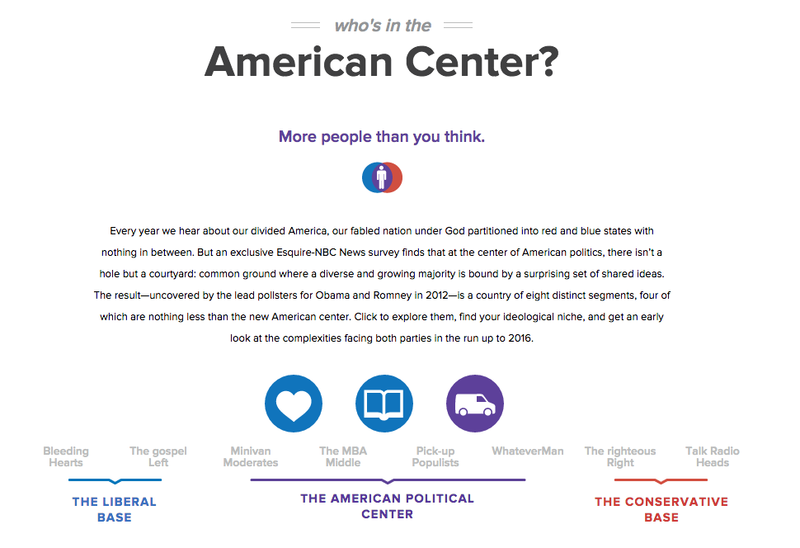 Based on data from an exclusive Esquire-NBC News survey exploring the centrist base of American politics, this interactive microsite (developed by Visually for NBC News) manages to organize the data in a way that allows the viewer to see how the different political blocks view the major issues. What’s really red or blue? Quickly get to the bottom of voter sentiment without sifting through a lot of data. To see how it works, click the image above or view it here on the NBC News site.